For many families, winter is the season of rediscovering board games. And the growing number of game cafés, stores and arcades around the Sound provide an outing where you can try the latest game trends and have fun teaming up against each other. Plus, games are more than fun. Board games help kids practice critical thinking, improve social skills and amp up family bonding in the darkest time of the year. Recent research published by the Columbia University Mailman School of Public Heath indicates that even video games in moderation may benefit kids’ cognitive and social skills. Whether you prefer your friendly competition on a tabletop or on a screen, here are cool stores and spots around Seattle to get your game and grub on. Game: This tabletop-game store and restaurant not far from downtown Bellevue is the opposite of a foreboding gaming cave: The space is open and airy with plenty of spots for play, including an area just for small kids. Mox has both a large selection of tabletop board games and a section of the store dedicated to Magic: The Gathering. (Check out that chandelier made out of Magic cards!) Families are welcome, and there’s something going on almost every night at Mox, from role-playing group meet-ups to painting miniature figures. Tip: If you’re in Seattle try Card Kingdom, Mox Boarding House’s sister store, in Ballard (5105 Leary Ave. N.W.). Grub: Mox Boarding House is part game store and part restaurant, complete with waitstaff. The menu is upscale pub fare, including salads, sandwiches, burgers, truffle fries and more. Let the kids pick a game from the lending library to play at the table while you wait for your food. 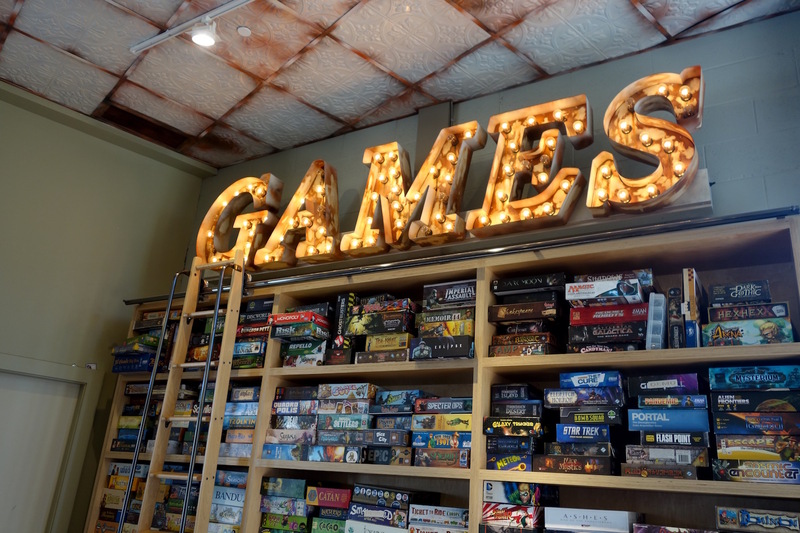 Game: In the heart of Seattle’s Queen Anne neighborhood, Blue Highway Games is a cozy shop where wooden shelves are stacked floor to ceiling with a wide selection of board and card games. Most of the store’s offerings are family-friendly, and the store is colorful, well-lit and inviting. Blue Highway also has a robust lending library so you and the kids can grab an open spot upstairs and try before you buy. Blue Highway organizes weekly Pokémon leagues and after-school activities centered on role-playing and trading card games such as Magic: The Gathering. Grub: Next door at Homegrown, fill up on sandwiches made with sustainable, locally sourced ingredients. Top-notch coffee options also abound nearby, including Starbucks, Storyville and Caffe Ladro. Game: Tucked away on West Seattle’s busy California Street, Meeples Games is one of the most family-friendly game stores around, with numerous board game options, plenty of spaces to play and a community vibe that encourages socializing rather than just making a game sale. Meeples stocks easy-to-learn games beyond the classics like Monopoly and Scrabble; and hosts Family Game Days, Pokémon Training Camps and homeschool meet-ups. 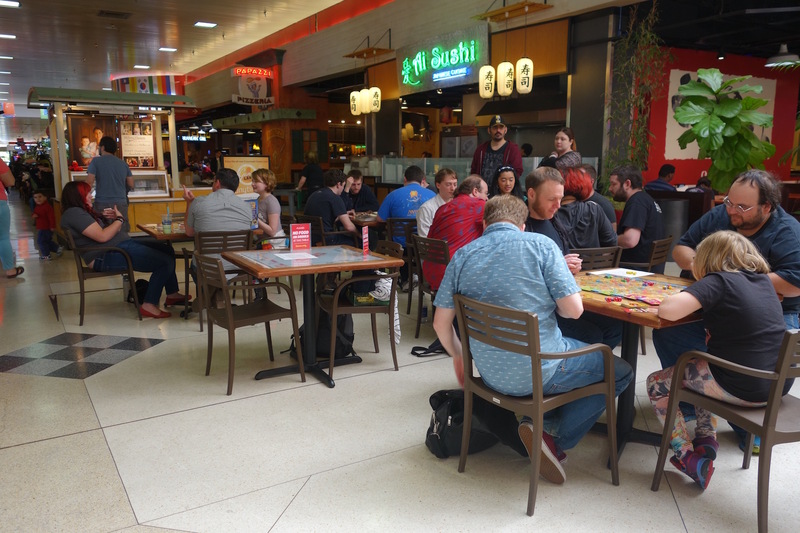 Grub: With an in-store café serving a variety of snacks and light meals — including gluten-free and vegan options — you can fuel up at Meeples without missing a beat in the game you’re playing. Other California Street eateries include Spiro’s Pizza and Pasta and Blackboard Bistro. 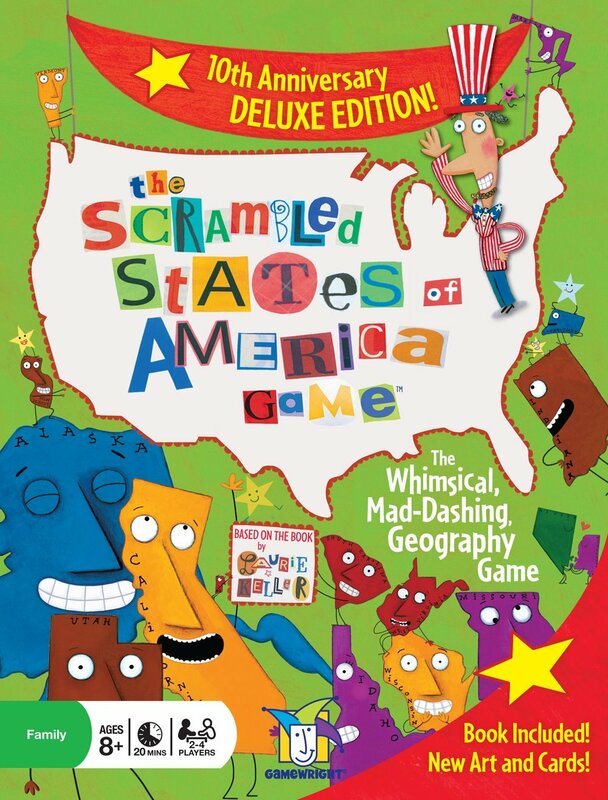 Game: Located in Crossroads Bellevue — an awesome family destination in its own right — Uncle’s Games is popular with families for its incredible selection of handpicked board games that are unique, educational and fun. Try them out from the lending library inside the store or use the Game Lane tables in the mall to play any time (they also have weekly Family Board Game events). Uncle’s also has a lending library so you can play before you pay. Older kids may want to compete in the weekly Pokémon and Yu-Gi-Oh! games. Uncle’s Games also has stores in Redmond Town Center and the Tacoma Mall, which both have kid-friendly food options nearby. Grub: Steps away from Uncle’s Games, Crossroads’ international food court boasts an around-the-world selection of affordable eateries, from Thai to Japanese to Indian. Also find free entertainment several nights a week at the Market Stage. Game: Step into this new game store in downtown Bothell and you’ll feel like you’ve entered Middle-earth. Inspired by The Hobbit, Zulu’s is warm and inviting, with antique entrance doors, wood wainscoting, parchment walls and a large fireplace. 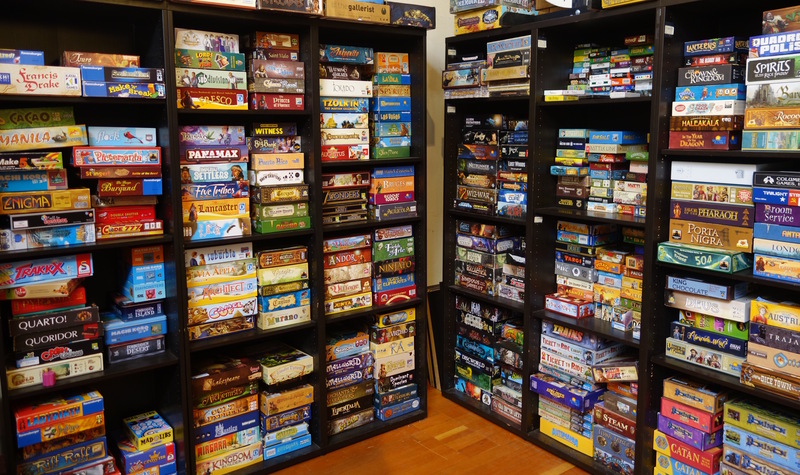 The store’s games and events are more targeted to older kids, with a large inventory of role-playing games and accessories, but they do have a small selection of family-friendly board games. Grub: Zulu’s is both game store and café, with appetizers, burgers, wraps and sides on the menu. You can play a game from the lending library as you nosh. Game: At first the dazzling lights and sound from the games at this extensive arcade might overwhelm some kids (or at least their parents), but the chance to win tickets to exchange at the prize counter is enticing for all players. Stick to the prize counter area and games like skee ball if you have small kids; many of the other games, rife with splattering blood and shambling zombies, are best suited for teenagers. GameWorks also offers a unique computer and console gaming area, where you can also reserve a spot to throw your kids the Minecraft party of their dreams. Grub: On the bottom floor, the on-site restaurant at GameWorks has an extensive menu of classic pub fare. GameWorks offers special combo deals, like an entrée with a one-hour game card for $15.99. Other nearby options include Blue C Sushi and Tap House Grill. Game: Your kids won’t believe the number of activities under one (large) roof at Tukwila’s Family Fun Center. At the neon-lit video game arcade, almost all of the games are appropriate for small kids, with the exception of a zombie game or two. Next door to the arcade, get active with bowling and bumper cars, or head upstairs for a game of laser tag. Outdoors, find a go-cart track, miniature golf, batting cages and more. (Tip: Outdoor attractions are open year-round but may be closed during inclement weather, so call or check the website before you head out.) Attractions are priced individually and can add up, so it’s a good idea to set limits on games before you go. Note: There is also a smaller Family Fun Center in Edmonds (7212 220th St. S.W.) with similar attractions. Grub: Bullwinkle’s Restaurant is on-site and designed to please kids with fast-food fare and walls adorned with cartoon characters. Get beyond Chutes and Ladders: Here are five ideas for easy-to-learn, under-the-radar games that are fun for players of all ages. A year ago, your kid was into Monopoly and now all he talks about is Pokémon and Magic: The Gathering. Here’s your guide to top trading car games for kids.